ExploreTheDark: ISS Photobombs the Sun! 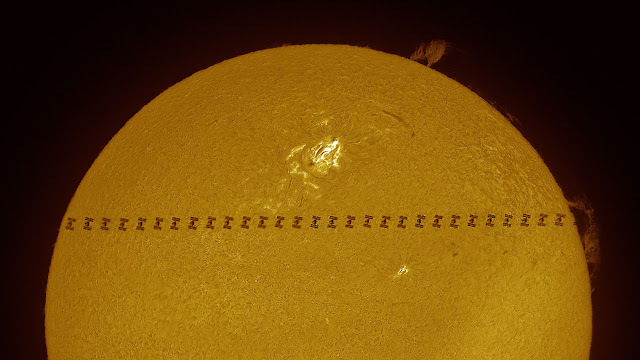 This is a composite of many images taken as the ISS transits the Sun. The Bad Astronomer talks about it on his column on Slate. These are the kinds of images that actually got me into photography. Speaking of, I have a whole bunch of new images coming soon. I'm setting up Wednesdays as my post days. Stay tuned!